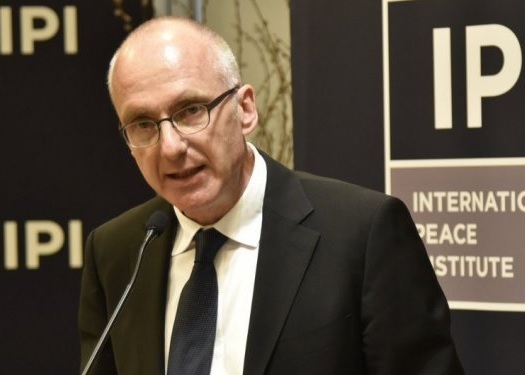 Norwegian Ambassador to Belgrade Arne Sanes Bjornstad has stated that Kosovo and Serbia should reach an agreement that provides peace and stability in the Balkans and beyond. In an interview to the Serbian newspaper Novosti, Bjornstad said also that the revocation of permission by Kosovo authorities for the visit of Serbian President Aleksander Vucic to Banja Skënderaj does not help normalize relations between the two countries. However, he says that a positive message from all of this was President Thaçi's reaction to the situation created. Bjornstad talked also about the possible change of borders between the two countries, which he said could be a solution, but according to him, such an idea should not be the goal of the two countries. "Sometimes we seem to talk about solutions without considering the problem. Association, changing the boundaries ... I see them as possible instruments, but not the goals. It is important to achieve a solution that eliminates the current situation and provides peace and stability in the Balkans and beyond," he said. According to the Norwegian Ambassador, the referral to the Presevo Valley as "Eastern Kosovo" by some Kosovar leaders does not help to resolve the situation, but he adds that even those who call Kosovo as part of Serbia should not be surprised by these statements . He also reiterates that Serbia will be admitted to the European Union only when it fulfills all the criteria, which according to him, are not having open problems with its neighbors.